Located off Highway 52 via County Road Y near Aniwa, the Eau Claire River Dells is one of the special jewels in Marathon County’s park system. The Dells of the Eau Claire River Park encompasses fantastic geological features created by the Eau Claire River. Ancient volcanic rock palisades and potholes carved in the rock by the falling water create a unique place at the dells and gorge. The river runs through the heart of this 190-acre park, as does the Ice Age Trail. A dam upstream from the falls creates an impoundment which allows for a swimming beach. There are 27 campsites (open May 1 through October 31) and a number of nature trails right on the banks of the Eau Claire River. Numerous waterfalls and rapids add to the scenic beauty amidst beautiful rock formations. Some of these formations are quite high; we’ve “cliff jumped” off some of these rocks to water 75 feet below. We wouldn’t recommend diving, however. The Park is open from 6am-11pm, seven days a week. 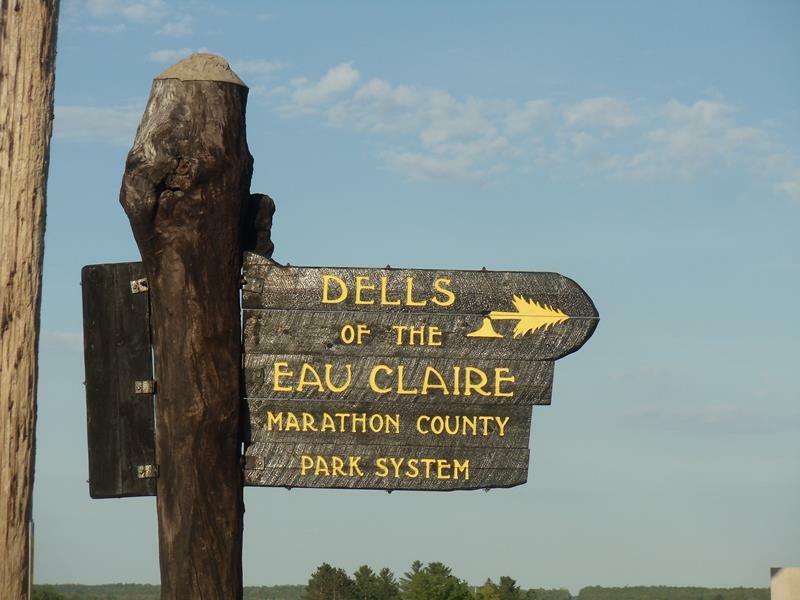 You can access the Dells of the Eau Claire River by following Highway 52 to County Y, northeast of Wausau. From Wausau itself, you can also follow County Z east 14 miles and then turn north on County Y.